Jack Raven's Bushcraft Club is back !!!! Now that the evenings are staying lighter it’s time to restart Bushcraft Club at our ancient woodland camp. Join us on Wednesday evenings and learn some great bushcraft and survival skills! Suitable for anyone with an inquisitive mind and a sense of adventure. Suitable for kids aged 8 and over- but please note that under 16s need to be accompanied by an adult. You won’t need any specialist or expensive kit, but bear in mind that we will carry on whatever the weather! 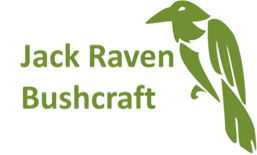 If you’d like to join us, either send an email to info@jackravenbushcraft.co.uk or call on 07553 763397. Hello,can you tell me if it’s £10 per evening or for the course,& are there still places? Is there a commitment to come every week ? As disability makes every week difficult for me. We’d appreciate it if you could come every week but understand that isn’t always possible. Come as often as you can. Let me know if you’d like to come along and I’ll get some details on where to meet etc. to you.